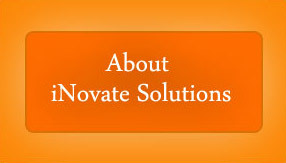 iNovate Solutions is a Business and Technology Consulting services organization focused on providing solutions and services in the areas of business process, strategy, process improvement and technology. We are a woman-owned minority business and have SBA 8(a), SBA SDB and SWAM certifications. We are located in the Washington DC metro area within easy access to the federal government and commercial organizations located in the area. Our mission is to deliver the solutions demanded by our clients by harnessing our experience, knowledge and expertise in business and technology areas with a single-minded focus of providing real value. We endeavor daily to bring world class management and technology solutions to solve real and complex problems faced by our clients..
We are led by a management team of former Big 4 management consultants with experience in leading large cross- functional teams in delivering strategy, process, performance improvement and technology enablement solutions. As a result, we bring deep understanding of our clients’ requirements and strive tirelessly to help provide the right solutions. Our in-depth knowledge of technology superbly augments our devotion to client service in helping organizations achieve their goals. © 2018 iNovate Solutions, Inc.